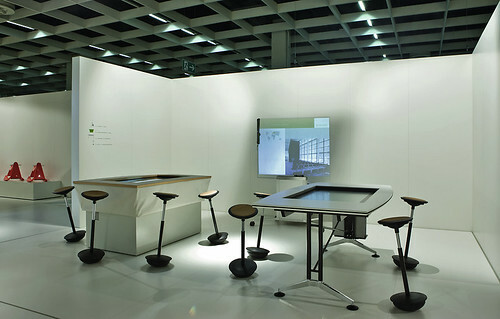 The Stitz work stool by Wilkhahn does not fit easily into any category. 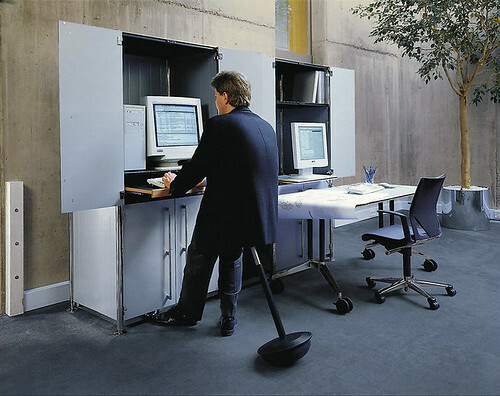 Its a work stool, yes, but it has a pneumatic lift like a task chair - not a fixed height. And the base is unique, as it is not a static base. Its not a base with wheels, but a large sand bag like base that allows the stool to tilt, yet remain standing. What does that gain you? 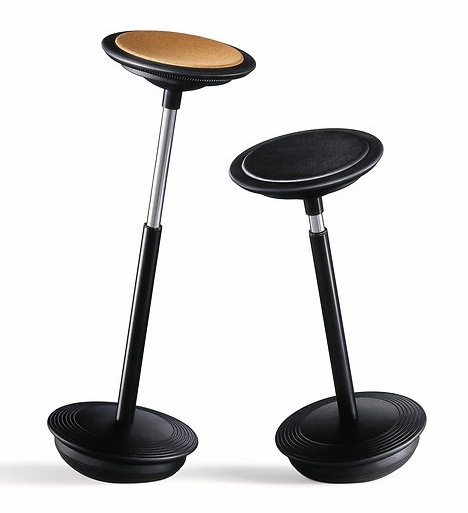 Its a stool that you can sit upon, or lean against. And by adjusting the height you can find a wide range of positions where you will find equilibrium. So you can use it at a stand up work station, or at a bar, or in a lab setting. They are outstanding in area's to congregate for brainstorming, and can be an appropriate rest place behind a podium for a presenter or the front of a training room for an instructor.